Sodium hyaluronate gel is a kind of glycosaminoglycan, which is widely used in biomedicine, biomaterials, functional foods and cosmetics. Sodium hyaluronate has been discovered for nearly 80 years. As early as 1934, Meyer and Palmer isolated a polysaccharide containing uronic acid and hexosamine from the hyaloid body. In the physiological neutral environment, hyaluronic acid is a polyanion. In 1985, Balazs and others suggested that the term hyaluronan is used to unify the name of the substance on the grounds that the substance is essentially a carbohydrate and should be named according to the naming rules of glycosaminoglycan. 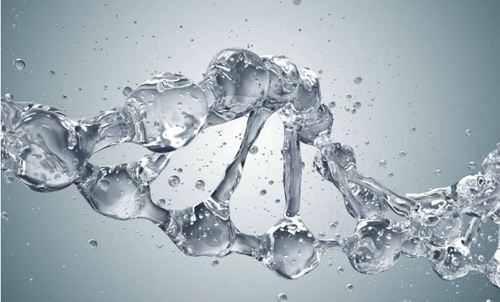 “Hyaluronan” has been widely used to cover any state of hyaluronic acid and its salt (hyaluronate), usually translated as “hyaluronic acid”, abbreviated as HA. At present, HA products are usually referred to as “Sodium Hyaluronate Injection”, and the HA product is called sodium hyaluronate gel. As early as the late 1970s, the United States first developed the first human clinical products of this substance, in view of the product is used for ophthalmic microsurgery – cataract surgery, its main function is clinical doctors as ophthalmic microsurgery surgery pad, temporary support surgery space for the smooth implementation of the operation. Therefore, the products were approved and sold on the market, and then the products were published in orthopedics and surgery, all on the market with the instrument number. Therefore, the US FDA identified the substance as a medical device. Ophthalmic surgery assisted medical devices are used for cataract extraction and intraocular lens surgery. Orthopedic surgery, mainly for the prevention of tendon adhesion, suture in the exposed tendon anastomosis, peritendon, even smear between the tendons, also can be used for injury repair intrathecal or local injection, or both, depending on the circumstances. It is commonly used in the treatment of osteoarthritis and rheumatoid arthritis. It can be applied to the anastomotic surface after myomectomy, cesarean section, and fallopian tube recanalization; after hysteroscopic tubal catheterization and intrauterine adhesion decomposition, it can be applied to the rough surface of the soft tissue; or after endometriosis and tumor pelvic adhesion release. Under the direct viewing condition, the product is coated on the rough surface of the tissue through a catheter. Mainly for injection rhytidectomy and injection molding. Such as thyroid surgery, Department of Urology, ear surgery to prevent inflammatory adhesion reaction.